Whether it’s Christmas or Cheerios, it still needs a capital letter! 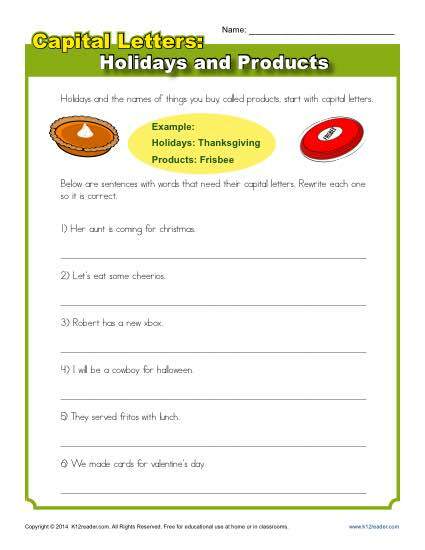 This worksheet features holidays and product names that need capitalization. Use it as a practice for Common Core Standards for Language for 2nd grade, or for other students as needed.